Liliales is an order of flowering plants. 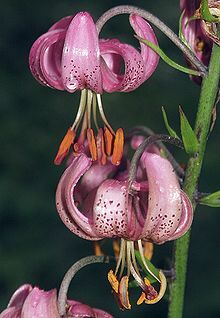 This order of necessity includes the family Liliaceae, but both the family and the order have had a widely disputed history, with the circumscription varying greatly from one taxonomist to another. The best known representative of the order is the lily. This page was last changed on 9 March 2015, at 23:07.